The Cornerstone Team consists of experts in design, architecture, construction, real estate development, finance, and marketing. We collaborate to offer clients a comprehensive service to address all of their land development needs. With over a decade of hands-on experience in each of these fields, we can help clients locate the ideal site, secure financing, design and construct a structure to fit specific requirements, and help market the property for maximum return on investment. If your project requires a specialized field of expertise not part of our standard offering, we have the relationships and resources to ensure all of your needs are met. We will partner with you throughout the lifecycle of your project, from idea through tenant residency. Bradshaw has extensive experience working on some of the most prestigious projects in North Central Texas, including Edwards Ranch, Viridian, and Edgestone. Bradshaw holds master’s degrees in both architecture and business from Texas Tech University, distinguishing him as an industry leader. His areas of interest include master planning and design, construction, real estate finance, marketing, and legal and administrative functions. Bradshaw is a licensed architect in Texas and is currently affiliated with the American Institute of Architects (AIA), Texas Society of Architects, and the Urban Land Institute. Bradshaw was appointed by the Fort Worth City Manager to the Development Advisory Board, where he aids city staff on municipal development challenges. 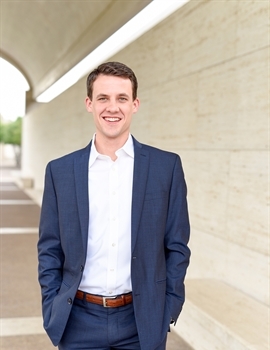 In addition to serving as president and owner of Cornerstone Projects Group, Bradshaw tirelessly serves his industry through the Real Estate Council of Greater Fort Worth where he is a member of the Committee for Public Affairs. Bradshaw also serves as chairman of the Governmental Affairs Committee with AIA Fort Worth. Other associations Bradshaw is involved in include Downtown Fort Worth Rotary Club, All Saints Alumni Association, and the Texas Tech Alumni Association. Bradshaw was recently named an Entrepreneur of Excellence in Commercial Construction by FW Inc. magazine, and previously named among the “40 Under 40” by the Fort Worth Business Press, an annual award recognizing 40 individuals under the age of 40 for their outstanding professional success and community involvement supporting the greater Fort Worth area. Bradshaw is a passionate servant of Christ as a devoted member of Christ Chapel Bible Church in Fort Worth. He is a former board member of the local nonprofit 12:48, where he offered his time and talents to youth in underprivileged neighborhoods and actively raised money for the organization to donate to children-oriented ministries, such as Hope Farm and Burn Ministries. 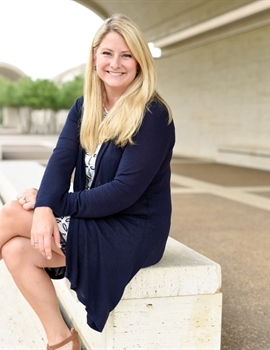 Pipkin is well known across North Central Texas for her involvement in projects like the Texas Christian University (TCU) Admissions Building, Cook Children’s Urgent Care, and Fort Worth Independent School District (ISD) Peace Elementary School. Pipkin holds a master’s of architecture degree from Texas Tech University, which prepared her to focus on architecture and construction. Pipkin has led design teams in a wide range of commercial facility types including, but not limited to, higher education, medical, multifamily, office, retail, mixed-use, and faith-based projects. Pipkin leverages her experience consulting for major banking institutions to minimize financial risks and protect construction investments with an acute understanding of quality assurance and quality control processes. Pipkin was recently named to the Fort Worth Business Press “40 Under 40,” recognizing her professional accomplishments and contributions to the Fort Worth community as one of the areas 40 individuals under 40. Pipkin is a licensed architect in Texas and a member of the American Institute of Architects (AIA) as well as the Texas Society of Architects. She is also active in AIA Fort Worth. Pipkin gives back to the community through Tarrant County Meals on Wheels, Fort Worth Stock Show and Rodeo’s Ladies on the Lamb, and Brock United Methodist Church. For more than 35 years, Thomas Baker has provided leadership to the construction industry—building schools, universities, retail spaces, restaurants and hotels, and industrial facilities. He is also experienced in historic restorations and all building systems including structural steel, light and heavy gauge metal as well as wood framing, tilt wall and masonry. Time and time again, Baker demonstrates his skills in troubleshooting, on-site field engineering, and architectural/engineering design-change implementation. Baker has managed major construction and emergency repairs for Fort Worth ISD, Arlington ISD, Tarrant County College, Texas Wesleyan University, and faith-based schools. Having been responsible for the construction of skilled nursing and assisted living facilities in North Texas, he most recently managed the construction of new restaurants, an aircraft hangar, and corporate offices for AngMar Medical Holdings. Having completed construction management and drafting courses at Tarrant County College, he is OSHA-Certified. He serves the greater community by working with Habitat for Humanity. As a project manager, Pybus oversees commercial developments and design build projects. He is experienced in managing multiple project types and sizes across Texas and internationally, utilizing his skills as a designer who emphasizes environmental design. His projects have included Class A commercial offices, retail, academic centers, industrial, healthcare (medical laboratories) and science and technology facilities. Internationally, Pybus has worked for a Fortune 500 oil and gas company which was developing four Class A buildings in west Africa. That connection led to the development of comparable site plans in South America and Russia. In Kafakumba, Zambia, he was involved in a master planned educational campus. Pybus earned an undergraduate degree in environmental design and architecture from Texas A&M University and a master’s degree in architecture from the University of Houston. 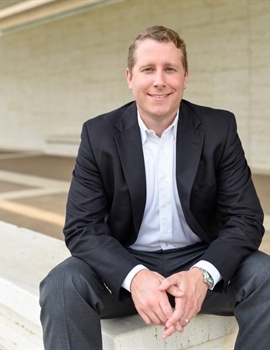 He is a member of the ULI, Real Estate Council of Greater Fort Worth, and AIA as an associate. As an active participant in the community, Cameron serves through Trinity Presbyterian Church and by volunteering at Rivertree Academy. As a project manager, Gyimah applies his architecture and construction experience in both commercial and residential sectors that include offices, retail, healthcare, education and single and multi-family residential. Large-scale projects in which he has been involved are a 15,000-capacity soccer stadium in Regensburg, Germany, and the $220 million Felix Platter hospital project in Basel, Switzerland. 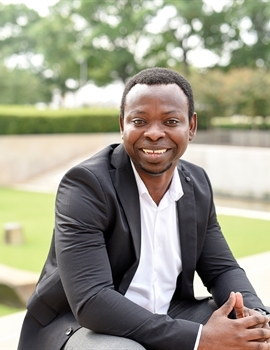 Gyimah holds a master’s degree in architecture from Anhalt University of Applied Sciences, Dessau, Germany; and a master’s degree in international project management from the University of Applied Sciences, Stuttgart, Germany. He is a member of the Design-Build Institute of America and is a Design-Build Professional designate. 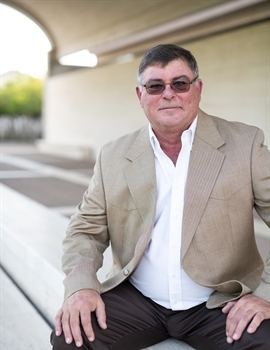 He is an active member of United Alliance Methodist Church in Keller and is passionate about helping the less privileged in society. He is also a senior advisory board member for Impossible Possibilities, whose mission is one of inspiring students through education.